We occasionally receive phone calls from anxious parents about their child, usually aged between four-and-a-half and six years old. They are concerned that their child’s permanent teeth are coming in behind the “baby” teeth and to them, they look like “SHARK TEETH”! First, this is a very temporary condition – the baby tooth will eventually get pushed out. In over thirty years of practice, we have only assisted a baby tooth once, and I think if we had waited longer, it would have fallen out on its own. Second, this is a symptom of a developing orthodontic problem that can be definitely be improved by some form of medical intervention. A related concern among parents is that a baby tooth has fallen out, many times months earlier than expected, and the permanent tooth has not made an appearance yet. Parents should be aware that eruption of permanent teeth, though normally occurring up to six months after losing a baby tooth, can take up to 12 month. So give it some time! Beyond 12 months, however, a dentist should get involved. Of special importance is eruption of molars, which help the developing face take final shape. Severely delayed eruption could be the result of crowding and should be addressed. 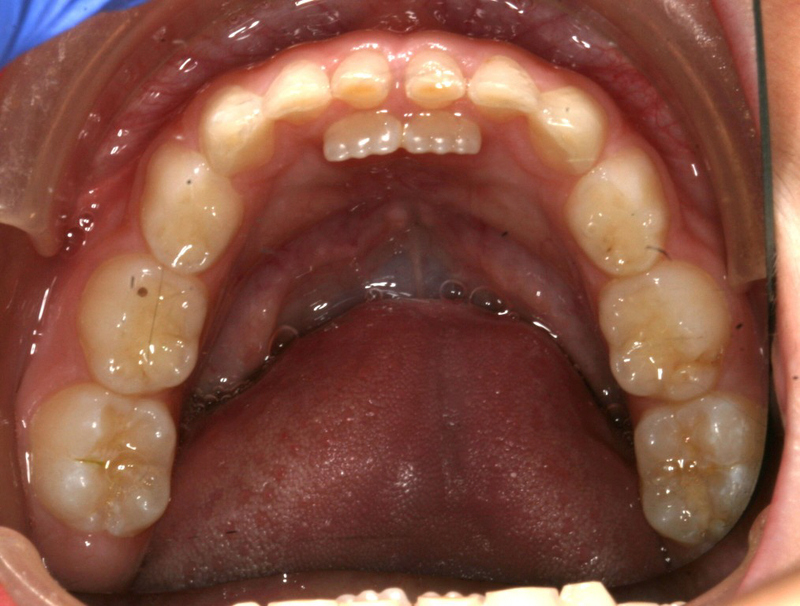 Another concern among parents is the space between a young child’s teeth. 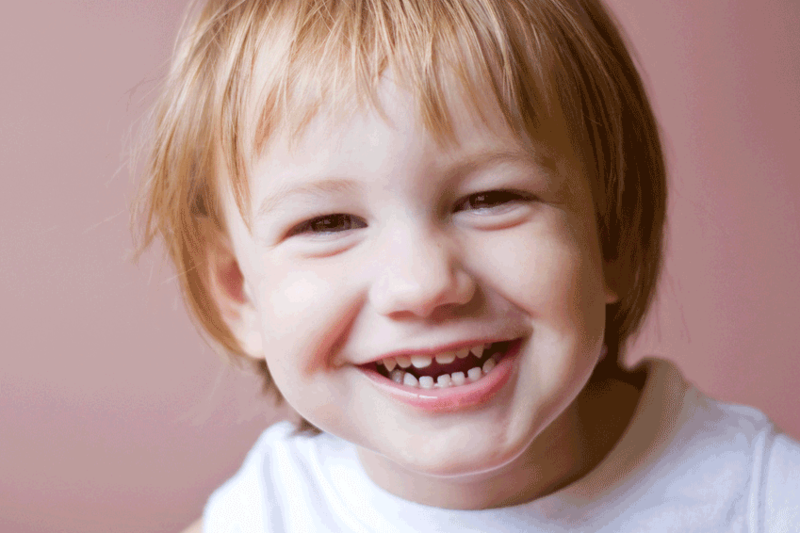 Many do not realize that the smile of a toddler should, indeed, be “gappy”, with spaces between many of the teeth. If you think about it, the baby teeth are merely “saving space” for the permanent teeth, which are obviously larger, so the extra space is necessary for a smooth transition to an adult mouth. The cute little chin on your 18-month-old is their adult chin. The face just gets longer from the back. The real problems occur when we see young children with little or no spaces between their baby teeth. We can almost guarantee, there are going to be orthodontic issue in the near future. With insufficient room, the teeth will “crowd” into position or will not erupt into the mouth. First, it’s definitely NOT genetic. Tooth size, general face shape and allergies can definitely be genetic, but crowding is not. The main culprit is how your child breathes. In a normal mouth, when you swallow with your lips together, the tongue goes behind the upper front teeth and expands during the swallow. However, if the lips are apart, the tongue drops back and expands across the back teeth to create a seal. 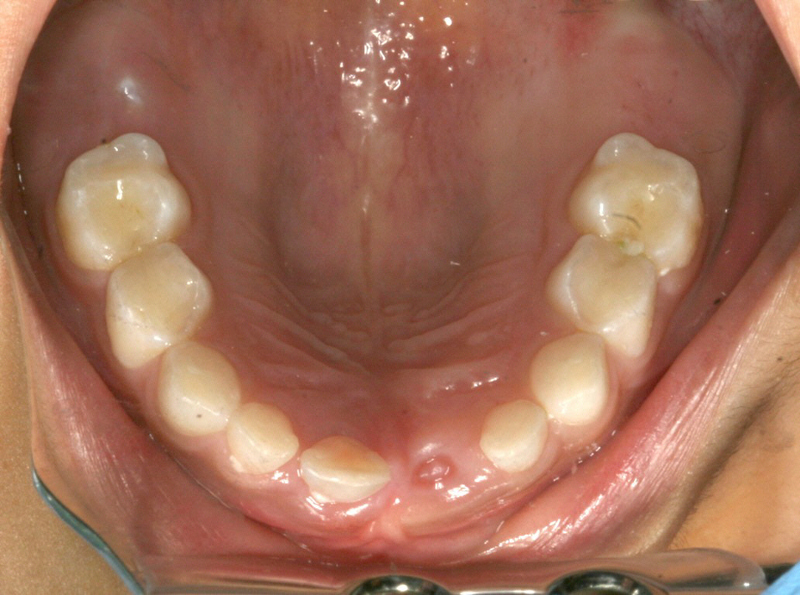 This constant abnormal swallow is what causes orthodontic problems in children AND adults. If your child has their lips apart during the day, and especially at night, or snores or is a noisy sleeper, then this problem leads to the wrong swallowing pattern. It further leads to the development of lower crowding and overbites. Your physician, or a pediatric ear, nose and throat specialist should be consulted to improve your child’s breathing. There is literally tons of literature and research (well, actually, lots) bearing this out. Dental expansion devices have been used since the 1800’s to treat crowding, and very successfully. Done while the child is young and actively growing is the best time as it will have a more significant and positive effect on their developing face. The face is growing roughly 10% a year during these early years, and if a deviant growth pattern is present, it will be harder or impossible to deal with later. These expansion devices can’t work as designed in the adult face. There is no advantage to waiting except for compliance issues. Can’t we take teeth out now or later? Of course you can. But the result, although it might look good tooth-wise, often leads to poor profiles and disappearing chins, as the face never has the chance to develop to its full potential. You can. The crowding will persist, tooth wear will increase with time, the chances of developing periodontal (gum) problems increases, certain postural problems may occur, and the chance of developing sleep apnea increases significantly. We have had some articles and videos on our Facebook Page that relate to this discussion. New information is placed weekly. Follow us on Facebook and get this information continuously. If you have any questions about “Shark Teeth”, child facial development, sleep disordered breathing or general dental care, please contact Bradlee Dental Care at 703 820-0809 – we’d love to help.